Young will be in Melbourne this month for the 2012 World PR Forum, hosted by the Public Relations Institute of Australia, the first time the event has been held in Australia. Marketing caught up with him to chat about a charity brand that considers itself a start-up, has a strong focus on design and does very little traditional marketing. Young: I’ll be telling the story of Charity: water, and how we operate as a digital start-up, non-profit, how we’re different, and basically trying to give as much insight as possible for the audience into how we structure ourselves, how we approach marketing, how we approach our brand, in order to achieve our two goals: one, of bringing cleaner safe drinking water to every person on the planet – so that’s 800 million people currently live without clean water. 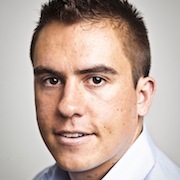 And two, to reinvent charity. We want to be a brand that completely reinvents what charity means. They’re our two, high-level stated objectives, and so I will be presenting that to the audience and then talking about the various brand values, activities, examples of how we believe we’re tackling that. If you’re reinventing charity, what does charity mean to you then, and to Charity: water? There are really three things at the core of it. We’re only six years old here in New York City, and our founder, Scott Harrison, returned from two years working and living in Africa with an aid organisation in Liberia. When he got back into New York, he found that there was no charity that really inspired his friends; his friends weren’t giving anymore, and he kept hearing it was because charity can be like a black hole… is the money being used efficiently? And then simultaneously, if you looked at most non-profit branding, it’s hard to find a brand that really inspires you. So six years back, that’s where we were at. We started Charity: water with three fundamental ideas that have stuck with us from day one and been the focus of most of what we’re doing. The first is our 100% model. So every cent we raise at Charity: water, we use to fund water projects. Every cent we publicly raise – you donate $20 on our website, every cent of that $20 goes to water projects. We pay back credit card fees. And we use a completely separate budget to fund our staff salaries, travel, ink in the office printer. It’s primarily major donors. It’s also corporate and foundation supporters and some merchandise. There’s a group of major donors called The Well, who give three year commitments purely to ops, and that enables us the scale. Also we are very efficient in terms of staff and numbers and our fundraising expenses. The second pillar was something we call proof, where from day one, every water project we build we mark on Google Maps so that donors can not only give knowing that 100% of their money will be used for water projects, but they can actually see that impact. They can see on Google Maps the water projects that have been built, see photos, see GPS coordinates, learn about the village they helped fund. And that was from day one, we basically started off with a GPS unit we bought at Best Buy, and six years later we’ve built over 6000 water projects and they’re all tracked the same way. And the final piece to match up is brand. 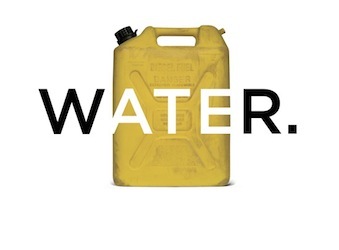 We really wanted to build an epic brand at Charity: water. We wanted to be a brand that inspires people like an Apple or like a Nike, the brands that you love most in the world. Where most charitable brands are not really that exciting. So because of that, we’ve had a really strong commitment to brand excellence, to design and web design and in our history our first hire after Scott was someone who would work on the water programs, and the next hire was a web designer, and he’s still with us as our creative director. So storytelling is a real strength of our organisation. Brand has been a big part of it. What I’m trying to do is with the three fundamental pieces of what Charity: water is about, talk about how that’s led into our extremely rapid digital expansion, and how we’ve used that platform, plus the strength of digital innovation to rapidly accelerate our business and effectively grow more like a web start-up grows than a traditional non-profit. That’s interesting, you’ve mentioned ‘start-up’ a couple of times. So the organisation really considers itself like a start-up? Absolutely. Yes. We’re only six years old. We’re 45 people, 44 in New York and one in Kenya. We’re certainly maturing now as we grow and as we scale, but we think and act like a start-up. So the brands that we’re most friendly with, and a number of the individuals who have been most supportive to our organisation, come out of the start-up world; they come out of Silicon Valley, they come out of the New York tech scene, they come out of interesting web businesses around the globe primarily. That’s where a lot of our best supporters come from. Since day one, we’ve been really connected with this community. We’re the first brand to have one million Twitter followers. Recently, we were one of the first handful of brands to join Instagram. And so this is how we operate; it’s a really strong part of our DNA. You mentioned brand before, and design, and that’s something I definitely noticed compared to other not for profits, is that it seems to skew quite a bit younger, and that’s apparent through the use of social media as well. Is that a deliberate focus, to target a younger audience? Not necessarily to target a younger audience, though we probably do appeal to early adopters, and our demographic, I would say, would trend a bit younger than a lot of the non-profits around the globe. We don’t do direct mail. We don’t do some of the more traditional forms of non-profit fundraising. We rely less on major donors than we do on the mass. We’ve had over 250,000 donors to date. I don’t think necessarily younger donors has been a focus of us, but creating an inspiring brand is a really important element to us. I often say that inspiration is the most important part of our digital strategy because we rely essentially on people not only giving what they can, but people fundraising, and that expansion of online fundraising has been a big driver of our success, and is a strategic priority for us. Effectively, fundraising is hard work – you can’t just set up a page and send a tweet and make 10,000 bucks. You’ve got to really work at it, you’ve got to educate yourself, you’ve got to educate your friends, you’ve got to inspire your friends in turn, and so we believe that inspiring brand is right at the core of that. Another thing about Charity: water that’s apparent is it’s very focused – it’s in the name, it’s all about water. I can see how that’s a benefit to communicating what it’s all about. But are there any times where that strict focus is a hindrance to marketing it? Surprisingly not. It’s interesting though, because a lot of people look at us and they point that out – it’s like it’s so tangible, it’s easier for you guys. It’s actually really hard work to make something look really simple, which I think people that aren’t in marketing don’t often understand that. Interestingly, our brand name is Charity: water. We think we could really be as effective if we were Charity: education or Charity: malaria, or Charity: healthcare, if we were delivering medicine, or Charity: HIV if it was AIDS vaccinations, for example. As long as we stuck to those core brand values of 100% in efficiency, or proving every dollar, and of helping people see that tangible impact after they’ve been inspired by a story and inspired by a brand. Brand extensions… has that actually been thought of seriously to do? Not on the plan yet. You never know though. There are 800 million people living without clean, safe drinking water. So this year we will raise over 20 million dollars in order to knock off 10% of the problem we’re facing, 800 million people, we would need to raise three billion dollars by 2022, or something, we’re looking at. The theme of this year’s World PR Forum is ‘communications without borders’. What does that mean? For us, it comes down to fundamentally more than just marketing, because at the top level, we’re a global brand by nature of the internet, so we have people fundraising around the world all the time. Even though we’re only a registered non-profit in the States, there are dozens of interesting Australian stories of people doing fundraisers. I’m having friends doing fundraisers all the time back at home. My little sister gave up a birthday in August and she was written up in the local paper out in Bankstown about it. So for us, the nature of our business and the web business is that it’s easy to scale as a global brand these days. More importantly, for us, it becomes about compressing time and compressing distance and connecting people with others on the planet. Fundamentally, the most important thing we do at Charity: water is help people see their impact. Now, we believe that with our 100% model, with our proof, with how life changing water is, that we give people the opportunity to really make a significant change in the world. If you fund a water project for a village, you completely transform a community, you transform hundreds of lives. And because of this world where you can communicate without borders, we are able to bring stories and connect people with the work that’s being done, and connect several billion people on the planet who are lucky enough to live in the developed world and have access to clean water, with the 800 million people who live without life’s most basic need, and put an issue on the agenda that’s been largely ignored. You mentioned storytelling, and that’s something that’s discussed in marketing a lot at the moment, brands becoming storytellers. For Charity: water, there are some really compelling and amazing stories that it’s involved with. Hypothetically, if you were working on a different brand, maybe something not so interesting, how would you go about that, and is storytelling still an important part of the brand? Yeah, it’s something I bring up a lot, especially coming out of a consulting background and working with major brands. It’s interesting to me because I work with a better creative team now than I ever worked with in the for-profit world. There is not many of them. They are certainly not well paid, but none of us really are in the non-profit world. The difference is that they’re passionate, their work is highly valued and they’re given a lot of room and time to do outstanding work. I rarely see any brands paying that degree of attention to creative. We will invest significant time and energy into our big stories: building micro-sites, ensuring excellence, sending people to the field to come back with videos. Our founder will often be personally involved in the stories. From top down, there is that level of commitment to storytelling. I don’t see that level of commitment to storytelling from 99% of brands, and you can’t produce an amazing story without that level of commitment to storytelling. So I don’t think it’s more so the topic. Certainly being a cause, we think we’re doing the most important work in the world and so it’s a joy to tell that story, but it’s hard work – like I said earlier, it’s hard work to make it look this easy. I saw on your blog a video of Steven Colbert basically taking the piss out of social media measurement, in particular, counting the tweets per minute in the US election campaign. It’s hilarious because it’s pretty sharp satire about measuring things in digital just for the sake of measuring it and because the numbers sound good. Where do you think the industry sits at the moment in measuring social media? Is it something we need to measure, and where do you think it’s going… what’s the next big step? I think most people are spending a lot of time and energy measuring stuff that may not matter, because it’s public. Any CEO can look at how many Facebook fans or Twitter fans they have and how many their competitors have, and care a lot about that number, where it doesn’t matter what number you have there. It really, of course, matters what you’re doing with them; what’s the impact? It’s typically really hard to close the loop on impact. I’ve known this, I’ve tried to measure social media programs for all sorts of really large brands, and it’s not easy, especially with big brands, especially with brands where the business is done offline. But typically I see people investing a huge amount of time and effort in measuring raw numbers that may not have a link to any kind of defined activity. So people do all sorts of reporting on Facebook analytics and Twitter follower growth and number of mentions, and these are vague indicators that might be useful but at Charity: water, I look at dollars all the time, and how many active fundraising campaigns are there? And how many fundraisers do I need to drive? And how efficient do they need to be? I don’t have to track how many Facebook fans there are week on week, because if our brand is doing the right job, it’s going to happen. I think everyone on the measurement front is just wishing that there was a golden bullet or a tool that’s going to appear that makes it easy. And it’s tempting to take the easier out, which is to look at numbers that are right in front of you and not do the mental work to try to work out what are the fundamental drivers of your business, and what are the things to measure that matter? But one of the things I often say about measurement is the most powerful analytics engine in the world is the human brain, and you’ve just got to spend time and energy on how to measure things. So at Charity: water, we’ve been spending a huge amount of time on building – on instrumenting our site so that we can track all kinds of user behaviour in order to make our marketing efficient. We’ve built a custom, back-end dashboard to measure our fundraising and define and measure key conversions, so that we can get stronger and stronger on measurement, and that’s how our brand approaches this. Paull Young will be speaking more about Charity: water’s journey and approach to marketing at the World PR Forum, taking place in Melbourne 18-20 November 2012. To find out more about Charity: water head over to its website, Facebook page or Twitter profile.